I am going to have to make a Segmented Goblet. A grand slam fantastic. Your going to give Ian a run for his money. i am not that good, perhaps with time. i learn new stuff each time i turn. Looks good, also looks like an effective way to use up all those little wood scraps. Patience, thy name is Papadave! Very nice! I look forward to seeing it in person. 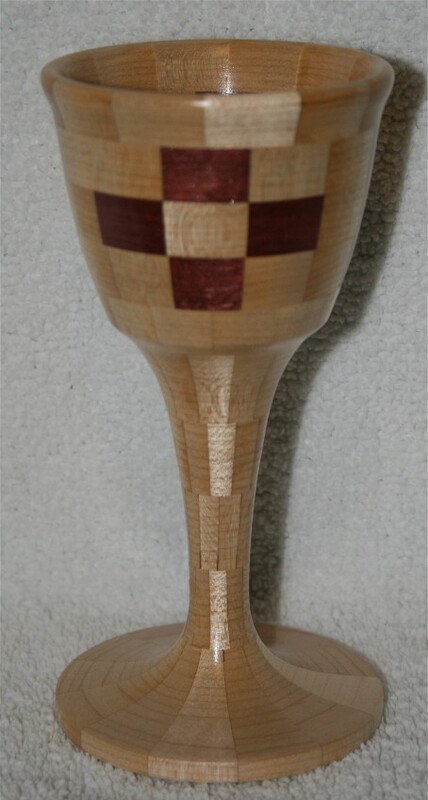 Cool, I never thought of a segmented goblet. The pattern is really cool. 120 pcs. Oh you are really patient.